I’m currently sailing aboard Holland America Line’s Veendam, rounding the western coast of Cuba en-route from Havana to Cienfuegos. It is a voyage that, when Veendam was built in 1996, would have been impossible. Today, it is a reality. 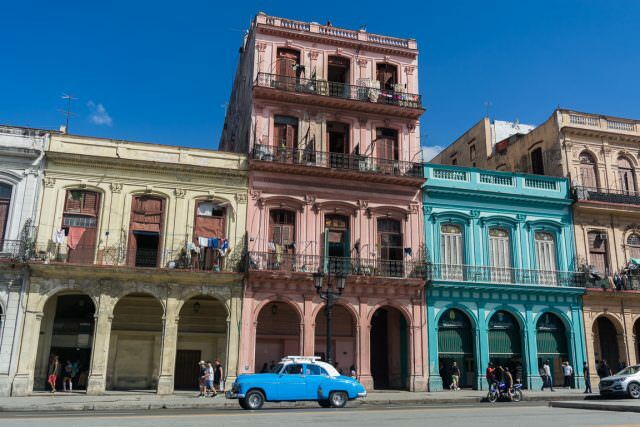 Holland America began offering cruises to Cuba back in December, and the line has already announced a lineup of unique and original itineraries to the island nation that combine traditional Caribbean ports of call with an in-depth exploration of Cuba. Rather than just calling on Havana, many of Holland America’s Cuban voyages spend time in Cienfuegos, on Cuba’s southern coast, as well. This is a huge win for guests, as it gives them the opportunity to tour Cienfuegos or venture further afar to explore locales like Trinidad or Santa Clara. The addition of regular Caribbean ports of call acts as the icing on the cake; many of Holland America Line’s Cuban voyages also include can’t miss Caribbean destinations like Belize City; Georgetown, Grand Cayman; Cozumel, Mexico, and even Half Moon Cay, Holland America’s private island in the Bahamas. Although I’m barely halfway through this current voyage, it has already made a remarkable impression on me. The 1,350-guest Veendam is perfectly suited to these cruises to Cuba. I’d forgotten how much I love this ship, having last sailed aboard her in 2005 and again in 2006. Getting around is effortless compared with the new megaships that other lines are rolling out. Queues are rare, even in the Lido Marketplace buffet. You’re never unable to find a seat in your favorite bar or lounge. Service from Holland America’s Indonesian and Filipino staff is kind, even doting. 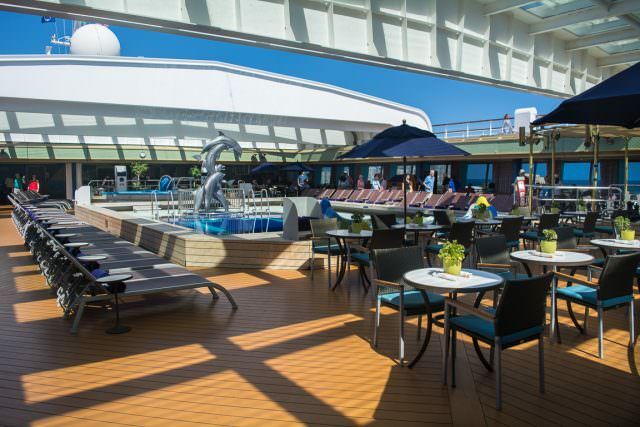 And the ship has been well-kept over the intervening two decades since her launch, aided along by a series of refits that have added new features and amenities. 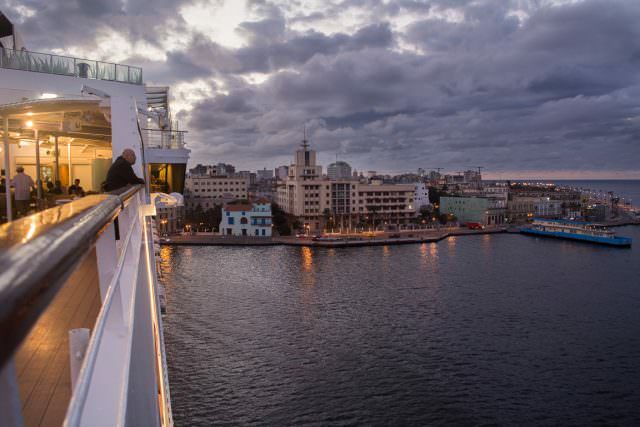 For her Cuban itineraries, Veendam offers plenty of immersion both onboard and ashore. 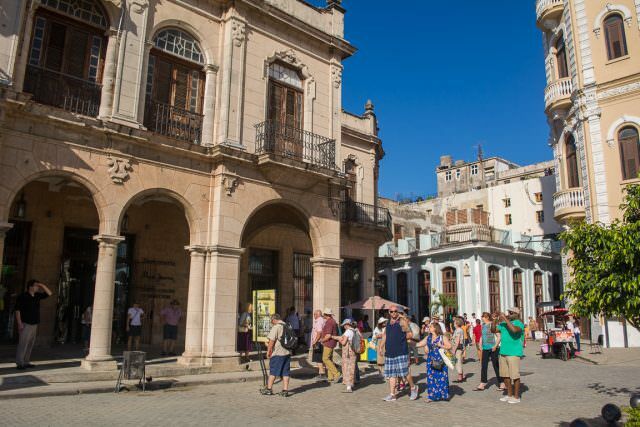 As part of Holland America’s new EXC Tours, in-depth shore excursions are offered that comply with people-to-people regulations set forth by the U.S. Government as a requisite for American citizens travelling to Cuba. These tours aren’t inexpensive; many run well over $100 per person. They do, however, provide an excellent value, lasting seven to eight hours in duration and offering up authentic Cuban experiences that would be difficult to procure on your own. Yesterday, for example, I took part in the eight-hour Culinary Traditions of Cuba. At $109.95 per person, we were treated to a walking tour of Old Havana, which is recognized as a UNESCO World Heritage Site. We were also invited to take part in the “Cuban Marriage” and learn how to fully appreciate Cuban coffee; smoke a proper Cuban cigar; taste Cuban Havana Club rum; and mix our very own mojito. Then, we were ushered off for a delicious lunch at the gorgeous Gran Teatro de La Habana, or Havana’s Grand Theatre. Named after national treasure and prima ballerina Alicia Alonso, the theatre boasts a high-ceilinged restaurant on its premises, complete with imposing windows overlooking Havana’s Capitol building (a replica of the one in Washington, D.C.). A live Cuban band serenaded us enthusiastically with authentic Cuban music throughout the course of our lunch. Much is made of the Cuban diet, which revolves around the basic staples of meat, rice and beans. It’s simple, but prepared well, extremely flavourful. 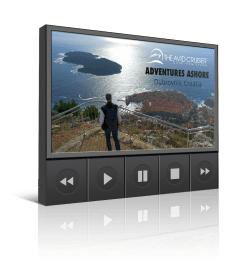 Onboard, Holland America’s EXC program also includes other unexpected diversions, like lectures on the history of Cuba; Cuban trivia challenges; and even a Cuban “Bedtime Story”, held on most evenings at 9:00pm in the Explorer’s Lounge. Authentic Cuban dishes are also offered in the Lido Marketplace and in the Rotterdam Dining Room on select evenings. 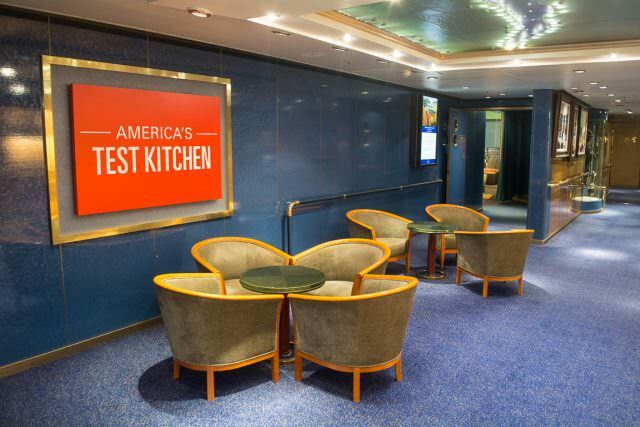 While Holland America cannot source its produce directly from Cuba for these meals, the line utilises U.S. ingredients to recreate authentic dishes. 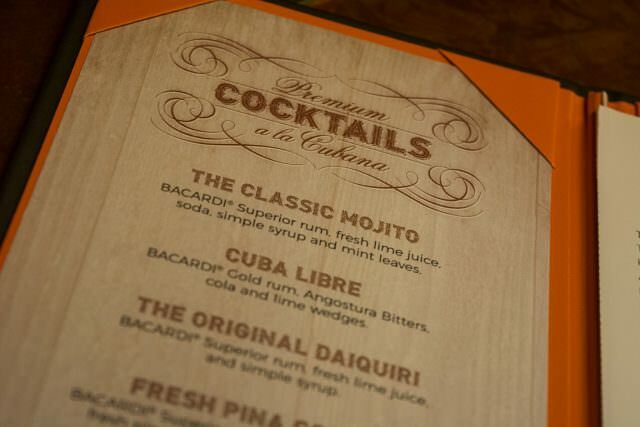 Veendam also has Cuban-inspired cocktails on its bar menus. These creations are priced at $9.50 each, and include classics like the Cuba Libre (rum, bitters, lime and cola) and fresh takes on drinks like the Cuban Mule, with its marriage of Bacardi Aged Rum, apple liquor, simple syrup, ginger beer and paprika. I’m working my way through them slowly but surely. Beyond Cuba, the real pleasure is sailing aboard Veendam herself. While S-Class sisters Statendam and Ryndam have left the fleet to join P&O Australia in recent years, Veendam and her sister Maasdam soldier on. Maasdam is taking on a new role as a pseudo-expedition ship later this year, repositioning to offer 12-to-34-day voyages through the South Pacific complete with zodiac rafts and immersive experiences ashore. Veendam is perfect in her new role as Holland America Line’s Cuban ambassador. 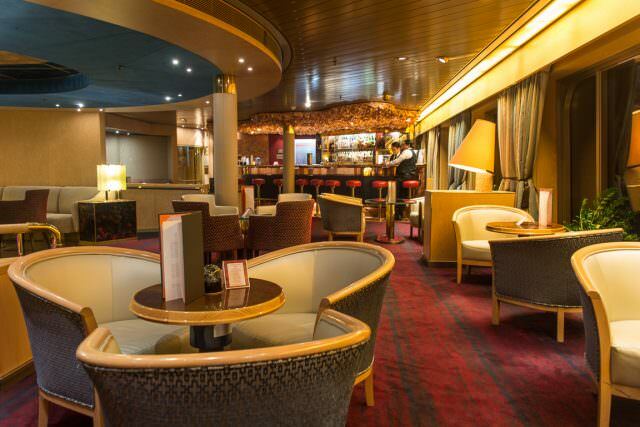 This is a comfortable, cozy ship that still provides a solid cruise experience steeped in classic ambiance. From staterooms that offer bathtub-shower combos in Oceanview categories and above to the ship’s plethora of windowed public rooms and broad open deck spaces, Veendam has lost none of her charm. 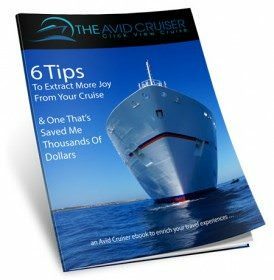 My current sailing is booked almost to capacity, and I’d expect Holland America’s future Cuban voyages will be, too, if their creative itineraries are any indication. Between now and April, Holland America is offering a few more weeklong Authentic Cuba itineraries similar to my current voyage, but each departure offers its own unique ports of call. In fact, what’s remarkable about these is that no two are exactly alike, with different Caribbean ports offered in addition to Cuba. 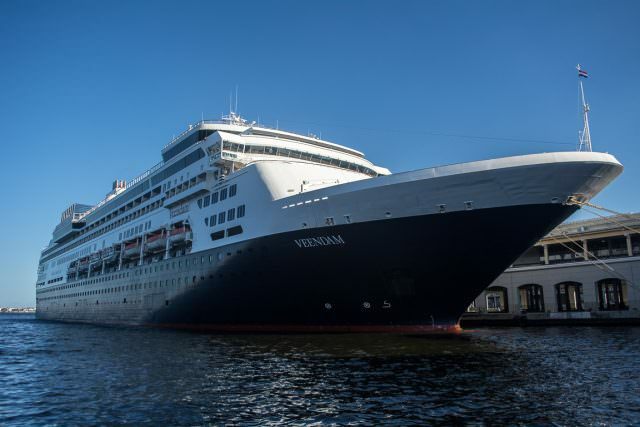 Things really get interesting this summer, when Veendam repositions to Boston. Two innovative Summertime Cuba cruises will sail roundtrip from Boston on June 23 and August 4, 2018. These will cruise south along the eastern seaboard before stopping in Key West and heading to Cuba for an overnight call on Havana. Additional ports include Cienfuegos; Grand Cayman; Ocho Rios; and Half Moon Cay. This fall, Veendam returns to Fort Lauderdale to operate a series of 10-to-12-day Cuban Explorer itineraries. These voyages all differ for the remainder of 2018 before standardising somewhat in 2019, when Veendam offers several 11-day voyages in January, February and March of 2019 that offer calls on Cozumel, Belize City, Mahogany Bay, Cienfuegos, Grand Cayman, Falmouth and Half Moon Cay. Here onboard, Veendam sails on through the night to Cienfuegos as I type this. I’m greatly encouraged by Holland America’s diverse and innovative debut in Cuba, which provide a great, solid cruise experience that should be highly enjoyable for all. For past-guest Mariners like myself though, these Cuban cruises haven another purpose: they keep the quiet, relaxing and immensely enjoyable Veendam in the Holland America fleet for a while to come.